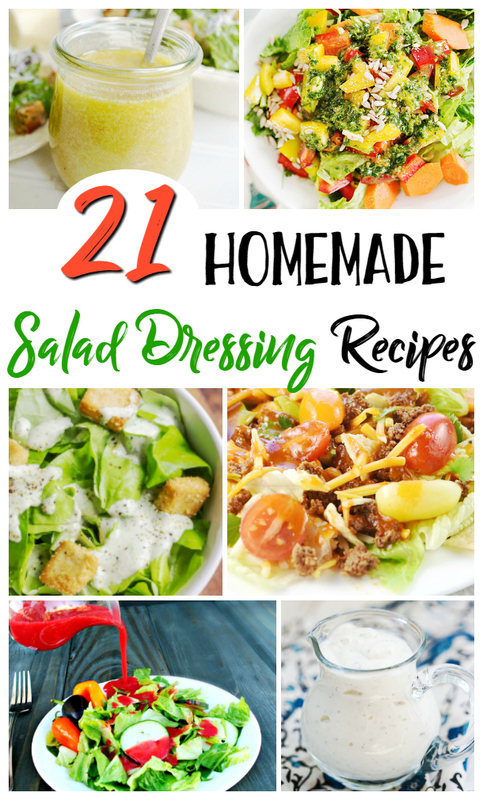 These 21 Homemade Salad Dressing Recipes are sure to become a summer staple at your dinner table, cookouts, family gatherings and picnics too! This post may contain affiliate links, which means if you make a purchase using one of these links, I will receive a small commission. This easy to make Homemade Blue Cheese Dressing is perfect for salads, as a vegetable dip and we love to use it as a dip for hot wings! I love it on a wedge salad, grilled romaine salad and even use it as a spread on buffalo chicken sandwiches. 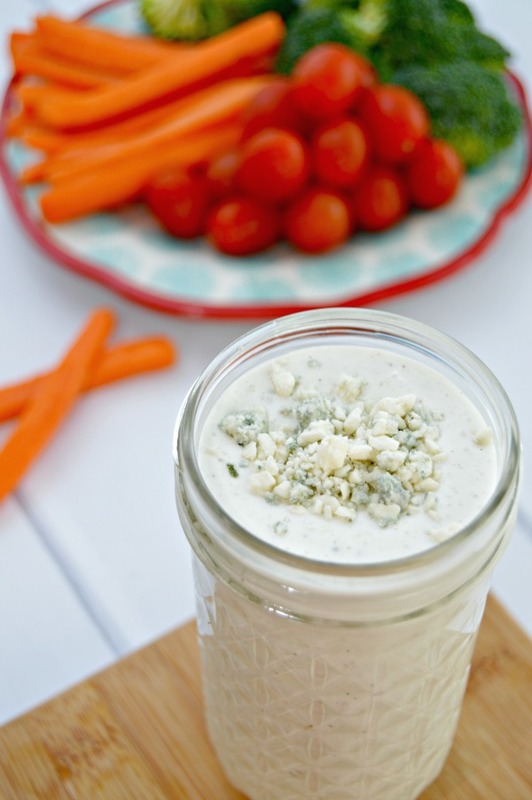 Once you make it, store bought blue cheese dressing will never taste the same! I like to make my homemade salad dressings, and store them in these 8 oz. Jelly Jars. Sometimes I make enough to share with friends and family…they make such a super cute gift, and are great for taking to a cookout or picnic with a nice salad. Now, check out these amazing homemade salad dressings from some of my friends around the internet! I hope these dressings will inspire you to make some of your own homemade salad dressings to enjoy with friends and family this summer!